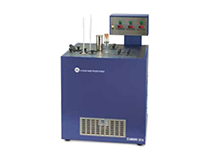 Cloud and Pour Point | Lazar Scientific, Inc.
refers to the temperature below which wax in diesel or biowax, forms a cloudy appearance in biodiesels. The presence of solidified waxes thickens the oil and clogs fuel filters and injectors in engines. The wax also accumulates on cold surfaces and forms an emulsion with water (producing, for example, pipeline or heat exchanger fouling). 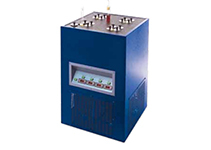 Therefore, cloud point indicates the tendency of the oil to plug small orifices or filters at cold operating temperatures. ASTM D97, is the Standard Manual Test Method for measuring Cloud Point of Crude Oils. 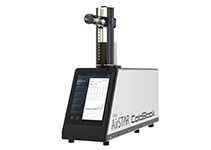 ASTM D2500 and D5773 , are the Standard Automatic Test Methods for measuring Cloud Point of Crude Oils. 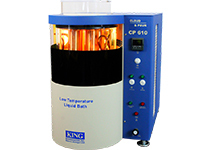 of a liquid is the temperature at which it becomes semi solid and loses its flow characteristics. In crude oil a high pour point is generally associated with a high paraffin content, typically found in crude deriving from a larger proportion of plant material. ASTM D97, is the Standard Manual Test Method for measuring Pour Point of Crude Oils. 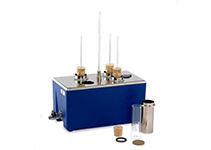 ASTM D5949 and D5949 , are the Standard Automatic Test Methods for measuring Pour Pount of Crude Oils.